As an Associate at EwingCole, Kyle oversees electrical engineering and lighting design in the Irvine office. He has a passion for sustainable designs and enjoys working on highly technical projects. Kyle has orchestrated the electrical design for many projects in the science & technology, healthcare, and government industries with recent designs in Cell Therapy manufacturing. He has designed Net Zero and LEED buildings and is an award winner for his lighting designs. 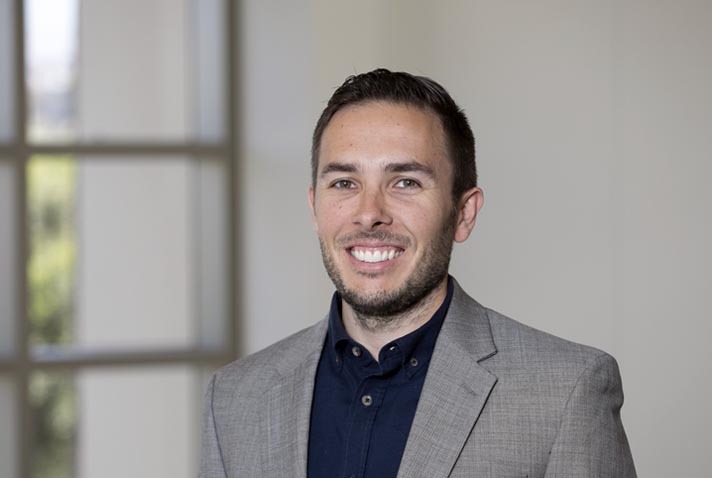 With over 15 years of experience in electrical and lighting design, Kyle is licensed in multiple states and holds a Bachelor’s of Science in Electrical Engineering from the University of California, Irvine. He joined the EwingCole family in 2013.